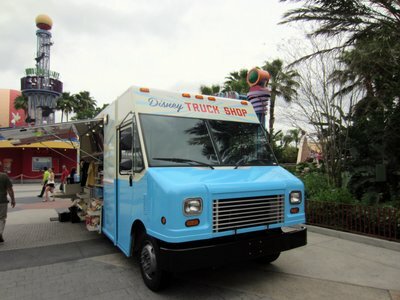 From April 8 -14, 2013, a vintage-styled Disney Truck will do double duty as a gift shop selling toys, t-shirts, and trinkets. 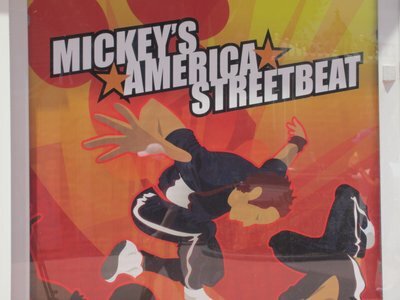 The truck was parked at the West Side of Disney Springs, not far from Characters In Flight. 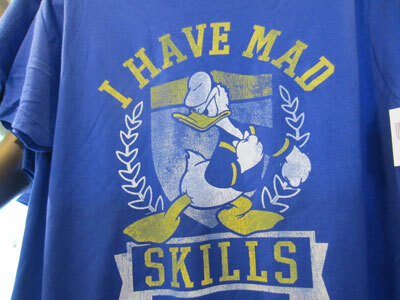 It offered limited quantity t-shirts as part of Disney’s Limited Time Magic promotion. 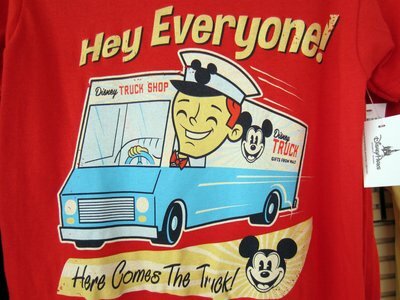 The shirts were imprinted with graphics that were inspired by the design and logo of the truck itself, and included images of a truck driver and the text “Here comes the truck” and a Mickey Mouse logo. 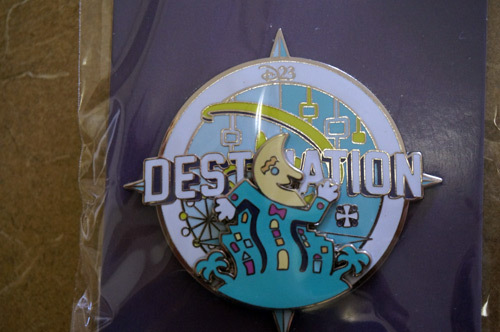 Let’s take a look at the truck and the merchandise. The back of the truck has fun and colorful graphics. Pie eyed Mickey Mouse logo on the truck. 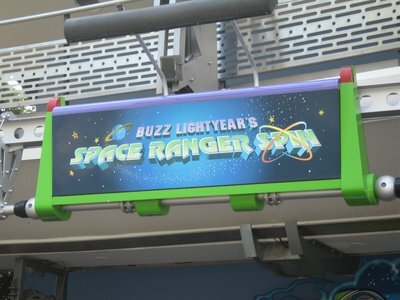 The truck made its home in the West Side of Disney Springs. This t-shirt with “Here comes the truck” was for sale. 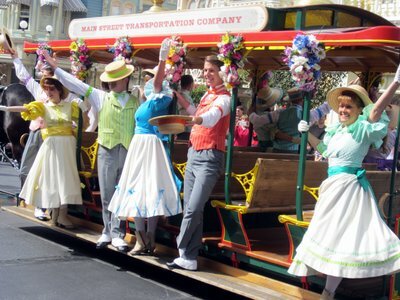 Check out our tracking list of the 2013 Disney Limited Time Magic events – we are doing our best to track them all. 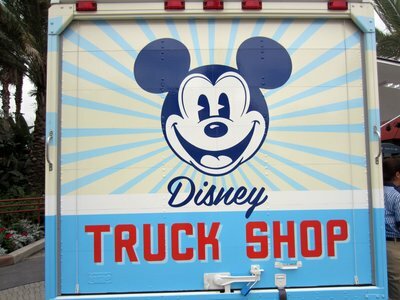 What do you think about the Disney Truck Shop?